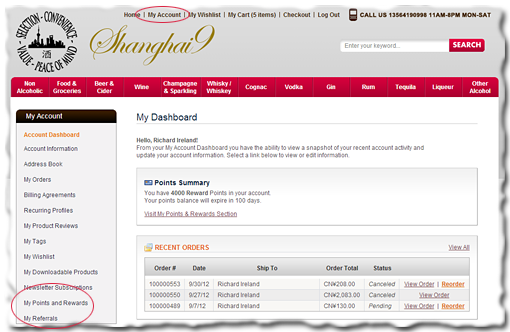 Shanghai9 delivers imported alcohol and groceries to your door - anywhere in China. We value your loyalty, and we'd love you to purchase your imported food and beverages from us on a regular basis. To show our appreciation to loyal customers like you, we have implemented a rewards points system. The more you shop the more points you can earn, and each point is worth 1 RMB discount against future purchases. You can also earn points by introducing your friends, and continue to earn points every time your friends purchase something from then on. Build up your reward points, and use them to discount your shopping cart total in the future (points remain valid for 60 days). In the future whenever the friends you invited earn reward points of their own, you will be given 30% of whatever they were awarded. If your friends invite more friends and earn points that way, you will get 30% of their 30%, and so on and so on. It really pays to invite a lot of friends - make sure they also know about the loyalty points!!! The points you will earn is calculated based on how much is remaining for you to pay after discounts. After you login, click on "My Account" at the top of the page, and look for the links "My Points and Rewards" and "My Referrals" in the left menu. Only 1 account per household/delivery address will be eligible to receive the initial 15 points for sign-up. Furthermore a single person is eligible to receive the 15 points only for their first sign-up. Additional attempts to sign up will be detected and the points removed from the account. Newsletter sign-up earns 15 points. The points are awarded to the holder of the email address receiving the newsletters. Only one newsletter subscription per account is possible. 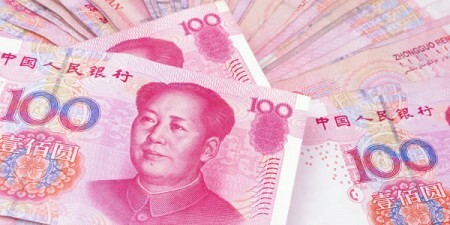 For every 20RMB you spend (based on cart total after any discounts) you earn 1 point to spend on future orders. Use the "My Referrals" link in the "My Account" dashboard to send emails to your friends. When a friend makes their first order you will receive 15 points (worth 15RMB). After that, your account will be credited with points to the value of 30% of whatever points your friends earn, either by purchasing or by introducing more friends, or by other means. Point balances will expire after 60 days if your account is inactive (no purchase is made). 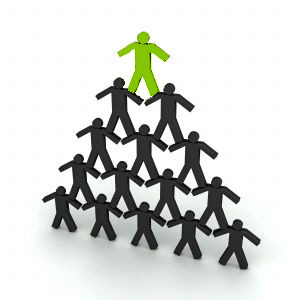 The points system was set up to reward loyal customers. However we actively monitor the points system for abuse and will immediately revoke all points associated with any account found to be trying to take advantage of the system outside the spirit of the rules set out above. When logged in members can track their points in their "My Account" dashboard. Note: points rules were updated 24 Jan, 2015.